So, here's how to can pickled carrots! The directions are complete with instructions in easy steps and completely illustrated. In the winter when you open a jar, the pickled carrots will taste MUCH better than any store-bought canned pickled carrots! The most important step! You need carrots that are FRESH and crisp. Limp, old carrots will make nasty tasting canned carrots. Guests will probably throw them at you.. Select firm, crisp carrots. Remove and discard any soft, diseased, spotted and chewed up carrots. You can grow your own, pick your own, or buy them at the grocery store. About 7 pounds of 2- to 21/2-inch diameter carrots makes about 8 pints of pickled carrots. I wouldn't use canned carrots; what's the point: Most of the flavor is gone from them, and you can always get fresh carrots. Step 3 -Wash the carrots! I'm sure you can figure out how to scrub the carrots in plain cold or lukewarm water using your hands or a vegetable brush. 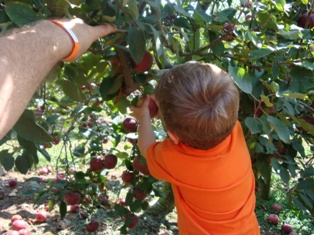 Peel and slice into rounds cuts that are 1/2-inch thick (approximately). 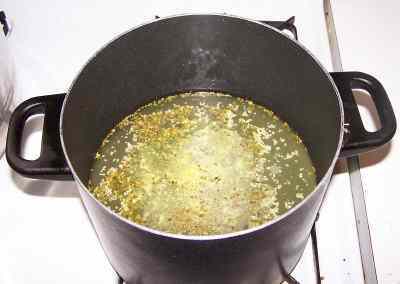 Combine the vinegar, salt, sugar (or Stevia (in a prepared form like Truvia, it measures same as sugar; if you use another form, you'll need do your own conversion) - or Splenda, if you prefer, if you need a no-sugar version) and fresh water in a large pot (8-quart or larger). Bring the solution to a boil. Then keep it boiling gently for 3 minutes. Add the carrots and bring it back to a boil. Reduce heat to a simmer and heat until the carrots are half-cooked (about 10 minutes). While the carrots are cooking, put 2 teaspoons mustard seed and 1 teaspoon celery seed in the bottom of each clean, hot pint jar. This is called "hot packing"! Fill the jars with the hot carrots, leaving 1-inch headspace. Pack the jars fairly tightly, but be sure to leave at least 1/2 inch, preferably 1-inch of space at the TOP of the jar. That is called "headspace" and is needed for expansion during heating in the water bath. Remove air bubbles (by sliding a dull knife inside the jars and/or gently jostling them) and adjust headspace if needed. Wipe rims of jars with a dampened, clean paper towel and put the lids on each jar. Seal them by putting a ring on and screwing it down snugly (but not with all your might, just "snug"). The chart below will help you determine the right processing time and pressure, if you have a different type of canner, or are above sea level. 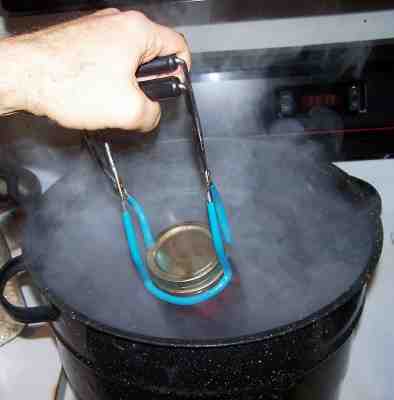 For most people, using a plain open water bath canner, the time will be 15 minutes. 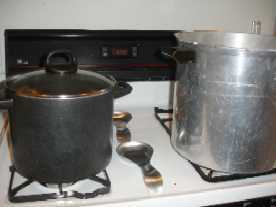 You can use either a plain water bath canner OR a pressure canner, since the vinegar adds so much acidity (if you can vegetables other than tomatoes without adding vinegar, you must use a pressure canner). 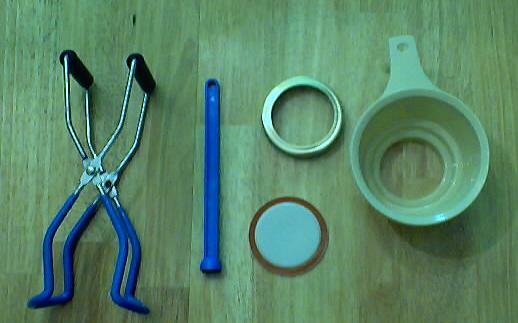 Style of Pack Jar Size 0-1000 ft. 1001-6000 ft. Above 6000 ft. 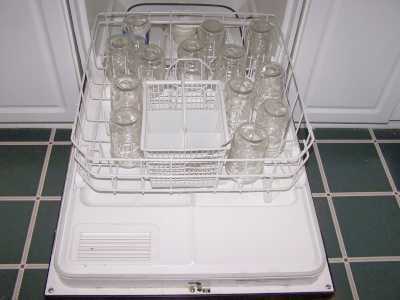 Lift the jars out of the water and let them cool on a wooden cutting board or a towel, without touching or bumping them in a draft-free place (usually takes overnight), here they won't be bumped. You can then remove the rings if you like, but if you leave them on, at least loosen them quite a bit, so they don't rust in place due to trapped moisture. Once the jars are cool, you can check that they are sealed verifying that the lid has been sucked down. Just press in the center, gently, with your finger. If it pops up and down (often making a popping sound), it is not sealed. If you put the jar in the refrigerator right away, you can still use it. Some people replace the lid and reprocess the jar, then that's a bit iffy. If you heat the contents back up, re-jar them (with a new lid) and the full time in the canner, it's usually ok.
You're done! Now, just let the carrots sit in processed jars for 3 to 5 days before consuming for the flavor to develop! Q. Is it safe to can pickled carrots in a traditional water bath? If so how long do you do process them? Several years ago, a recipe circulated using aspirin to acidify tomatoes and carrots for canning. Aspirin is not recommended for canning. While it contains salicylic acid, it does not sufficiently acidify tomatoes or carrots for safe hot water bath canning. carrots are low acid foods and may only be processed safely in a pressure canner. Lemon juice or vinegar is recommended to acidify tomato products for safe water bath processing.